Eldercare Services has always focused on helping the Bay Area to care for its families. Launched back in 1989, our founder—Linda Fodrini-Johnson—began Eldercare as a means of helping seniors find viable housing facilities. Dissatisfied with the underwhelming caregiving and home care & live-in care services provided by local agencies at that time, Linda drew upon her background in care management to expand the scope of Eldercare Services and become the area’s top professional care management, caregiving, and home care service provider for local families. Addressing the changing needs of elders and their families can be a challenge, but for the past two and a half decades, Eldercare Services has been making those challenges a lot less stressful and overwhelming for their clients. Eldercare Services has grown over the past 30 years not simply in scope, but also in size. Our Care Management Team is made up of more than twenty clinical care experts holding degrees in the fields of Social Work, Nursing, Family Counseling/Psychotherapy, and Gerontology. Additionally, many of these specialists are also certified in Care Management. Our Home Care Services Team oversees training and supervises our staff of professional caregivers, which is currently over 200 people strong. 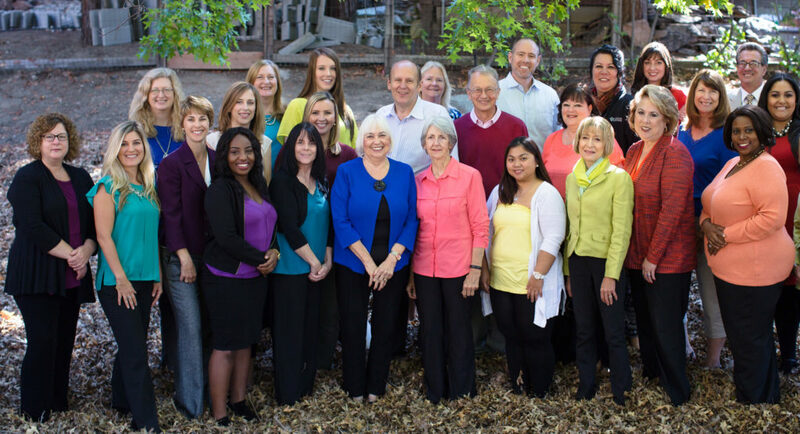 In addition to being a leading Bay Area home care provider ourselves, we are also proud to partner with a wide range of independent professionals and experts—from physicians, therapists and clinicians to attorneys and financial planners to help meet any needs you or your loved one may have. The Eldercare Services family is made up of caring and dynamic individuals. As a leader in home care, live-in care, and care management, we are always looking to recruit compassionate and highly skilled people who are the best in their fields to join our team. If you believe a Career with Eldercare Services could be for you, be sure to view our available employment opportunities. Thirty years later, these ideas continue to guide us and are part of what sets Eldercare apart from other care agencies and makes us a top Bay Area home care provider. We believe that a client’s quality of life is directly related to the quality of care they receive, which is why our client-centered services connect you and your family to a community of resources, expertise and skills. Whether you’re exploring care options, considering in-home care, looking for senior housing, or searching for strategies to manage challenging behaviors of dementia, we can assist you. Eldercare is a leading Bay Area home care provider. We specialize in caregiving, home care & live-in care services. Contact us today!